Making homemade sausage is easier than you think. And the results are a lot tastier and healthier for you. 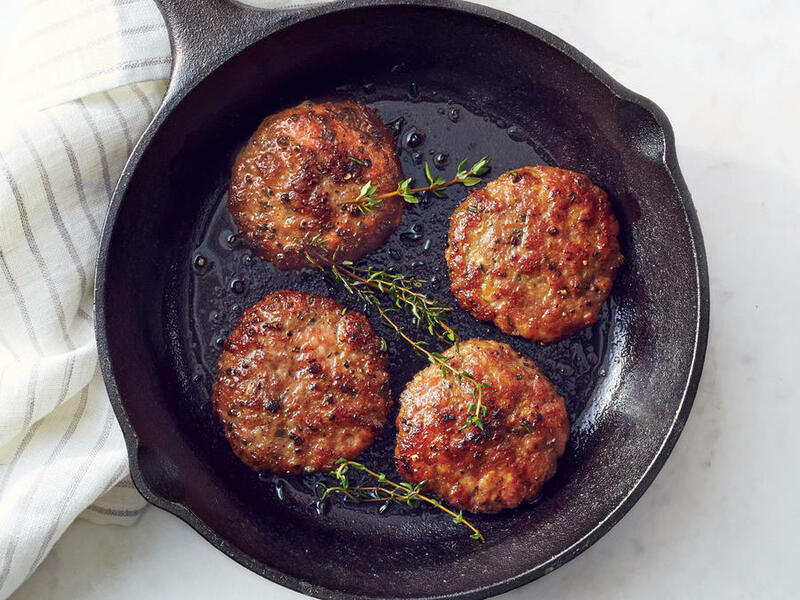 In the recipe at Cooking Light, they suggest using pre-ground meat. Now I took a class once where we ground the pork, mixed in the seasonings, and then filled casings. And yes, we giggled a lot. The nice thing about using the casings is that you can make vegetarian sausage as well as fish based sausage more easily. However, if you’re just making some simple sausage without casings, I think getting pre-ground meat is awesome. You could blend ground turkey or ground chicken for a lower fat homemade sausage. Don’t buy the pre-seasoned ground meats, though. You want to control the seasoning to your taste. 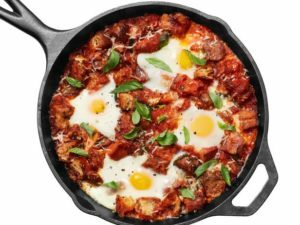 And it’s not just for breakfast sausage. You could also make Italian seasoned sausage for lasagna and spaghetti and manicotti. Or, you could make Mexican seasoned sausage for burritos or tacos. And you can add it into soups or stir it up with beans (just don’t forget the veggies). I’d recommend making a small amount of seasoning, and mix it into a little bit of the sausage. Then cook it up and decide if you need more or less. This is also something you can do a day or two ahead of time. Then mix the meat with the proper level of seasonings and it’s ready for breakfast. Or lunch. Or dinner. Making homemade sausage ensures that you know what’s in it. If you’re cutting out sugar, some sausage makers put in sugar for flavoring. Sometimes, sausage makers put in organ meats. You control what goes in. Use your butcher to help you. If you want to buy a blend of meats, you can ask the butcher to grind them together for you. It saves you time and you get exactly what you want. But, if this inspires you, get a meat grinder and go to town. I have the meat grinder and sausage stuffer attachment for my Kitchen Aid. You can order casings online if you can’t find any local. Ask your butcher.